This comfortable hotel is ideally situated at the west side of Kowloon Peninsula near the developing Western Culture area. There are nearby places of interest like the computer shopping centre and home appliance market as well as the historic old mansion of Lui Seng Chun. The property is only 5 minutes' walking distance from MTR Prince Edward station and within easy reach from the busy Nathan Road with many entertainment options. Guests staying at this property will enjoy a well-deserved and restful night's sleep at the pleasant guest rooms available. 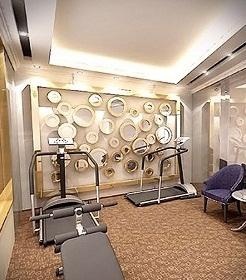 There are additional services and facilities for guests' benefit, such as a luggage storage service and fitness room for those who want to keep active while away. Quiet neighbourhood. Close to restaraunts. The nearest MTR station. Reasonable price. Cost effective. Reasonable hotel. Helpful staff. Counter staff nice. Well-run hotel. Good restaurant. No food. Good food. No place to hang clothes. Fridge did not work. Walls are very thin. Broken ventilation system. Rooms are tiny. Bad bed.